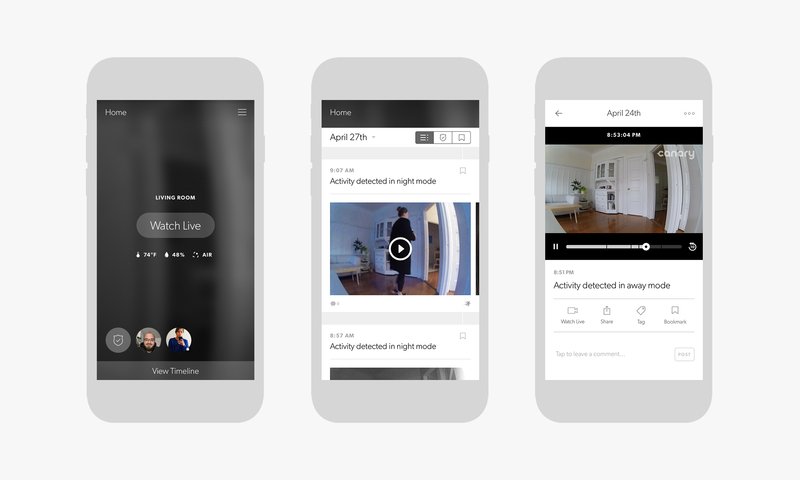 Canary is a home security startup that builds products to keep families safe and connected. I lead the product and design teams who developed, designed, and built the Canary software including apps for iOS, Android, Apple TV, Apple watch, and Android Wear devices. From starting out as the company’s first product designer to now running the full product and design teams—I’ve spent almost four years engaged in the logic, architecture, UX and UI of the Canary app experience. Early on we knew that each home environment and its user’s security needs are unique. So we set out to build an extensible system that could be customized and grow with an expanding hardware lineup. We also had to commit to a mental model, design principles, and intelligent defaults within our product from the beginning. The smart home industry celebrates automation, but we wanted our users to understand how Canary works and prove our value without a complicated set-up process or behind the scenes logic to reach that understanding. We made some big decisions early on to create a simple experience and provide opportunities for users to customize their systems and preferences. Your home’s location and the people in your environment are front and center in the Canary experience. 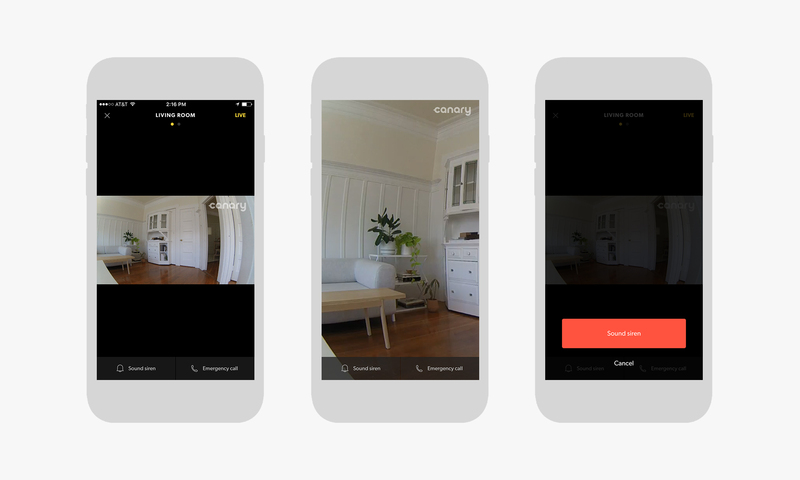 Each camera belongs to a location and as a member of the home you have an individual profile that allows you to customize your Canary’s behavior, whether you’re home or not. When you open the Canary app you’re effectively given a window into your home. In an instant, you can see who is home or away, if the system is up and running, the latest environmental sensor readings, and a view of the latest activity. In addition, a large call-to-action encourages you to “Watch Live” and see what’s happening for yourself. We separate our experience into real-time and historic video activity and data. Below you can see the home view, timeline view, and a single event view. A pain point of traditional security companies is their reliance on a binary alarm system with a high false alarm rate. You may be out to dinner and get an alert from your security system, but not be able to know exactly what is going on. At Canary, we believe in security through information and we put our users in control. Our system analyzes what it sees, sends you an alert if anything is abnormal, and then provides you the opportunity to take action. Whether that action is downloading the video for the police, sounding the built-in siren, or calling the local authorities directly from the app. Based on the location of your device, our apps pre-populate the phone numbers of local emergency services, police, and fire departments. This helps immensely when you’re away from your home. If you're traveling in California and dial 911, the call will route to the state police—which is not helpful if you’re watching video of a burglary at your home in New York. We’ve seen events go from a push notification to police at the scene of a crime within five minutes. In addition to providing security footage in a time of need, many of our devices are used to capture the authentic lives of families. Our devices have captured baby's first steps, surprise birthday parties, wedding engagements, and impressive pet tricks. These lifestyle use cases drive incredible daily engagement with Canary. We've built several things to help families stay connected in addition to protected. 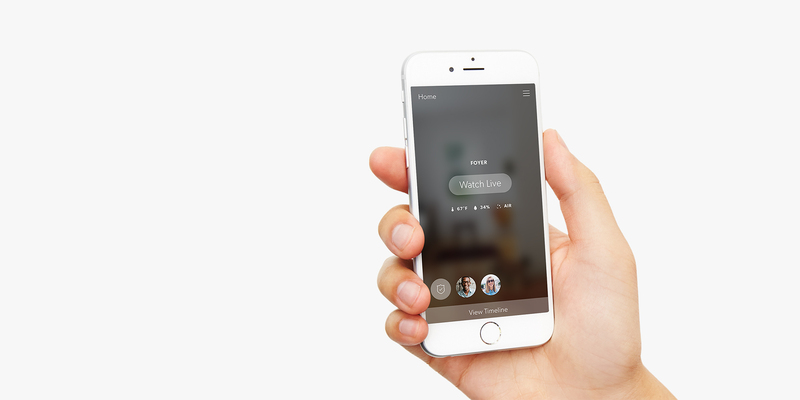 Within the app, members of a home can see who is home, comment to one another, share and download their video clips. Check out the #caughtbycanary hashtag to see the variety of captured moments. View the project pages about Canary All-In-One and the Canary Flex. And be sure to check out the official Canary website and pick one up at Best Buy, your local Verizon store, or online at Amazon. All work on the Canary Flex project done in collaboration with the full team at Canary.